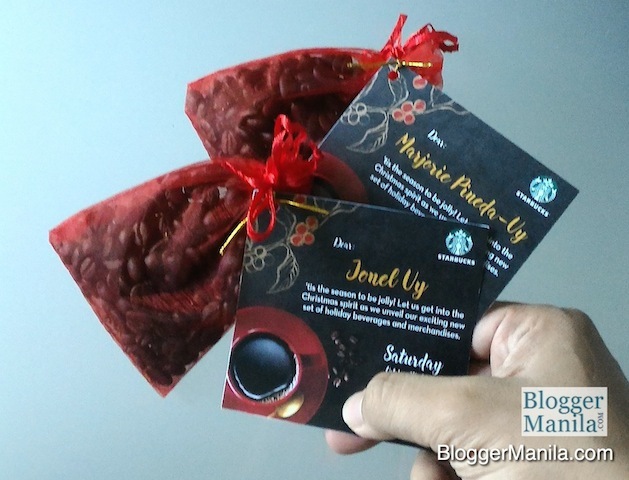 Blogger Manila & Seats For Two received a personalised invitation the other day for a special launch of Starbucks Philippines’ upcoming holiday beverages and merchandise. But we all know that it is also around this time when the Starbucks Planner 2016 will most probably be unveiled. In anticipation of the upcoming revelation of the Starbucks Planners, perhaps the customised invitation of dark coffee beans in a red packet and the note which has a red cup of coffee and saucer against a black background be a hint for this year’s theme? Stay tuned and get updated with urban lifestyle trends from Blogger Manila through email subscription here. Like our Facebook Page, Twitter @BloggerManila, and on Instagram. What do you think? Do you agree on my haunch or do you have other ideas? Are you excited as well for this year’s new Starbucks Planners 2016 edition for the Philippines?